Lockhart is the undisputed Barbecue Capitol of Texas…and thus the world. 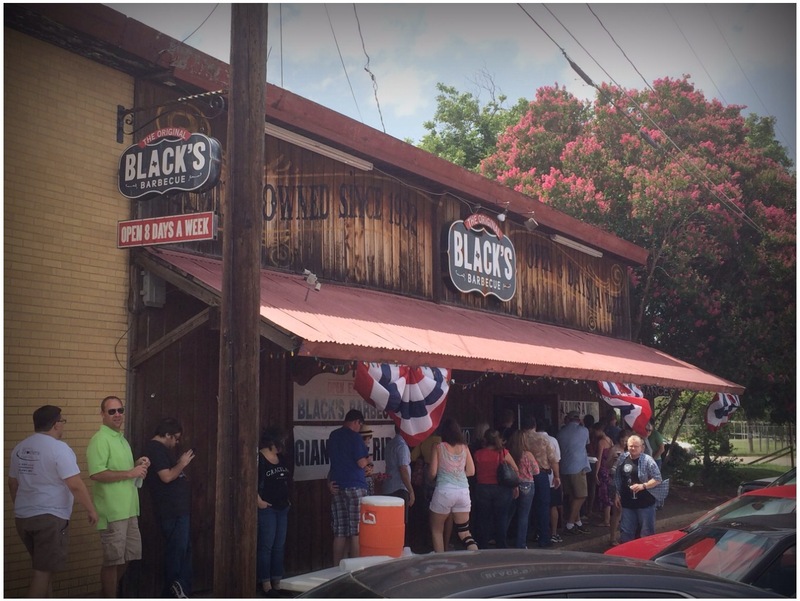 Black’s Barbecue, founded in 1932 by Edgar Black, Jr., has been serving barbecue in Lockhart, Texas to hungry patrons spanning five generations. 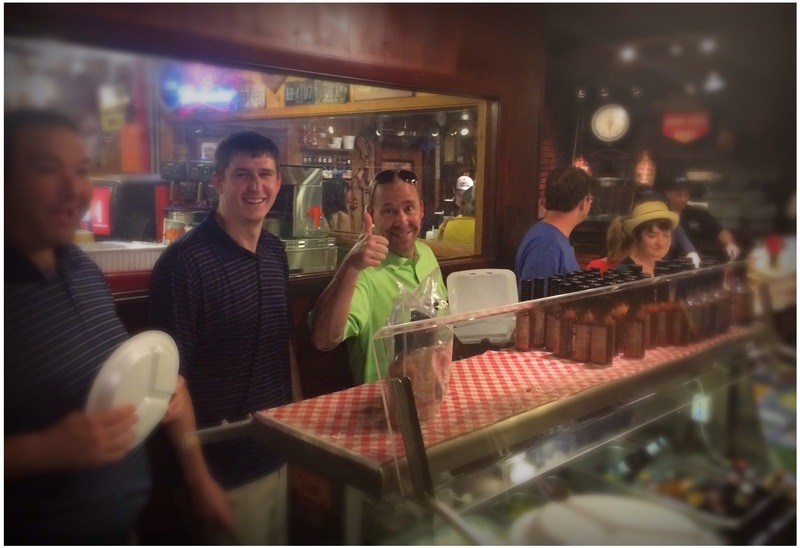 The delicious meats they are so famous for are smoked in the original pit made by Edgar Black, Jr. himself in 1949. This pit holds up to 500 pounds of meat! Kent Black, 61 years young, is the current pit master for Black’s Barbecue. Black’s Barbecue is located at 215 Main St. in Lockhart, Texas. Black’s isn’t just one of the very best destinations for smoked meats in the state, it is also one of the oldest. It is truly a Texas BBQ icon. My first trip to Black’s was sometime last year in preparation for a big trial. We made a planning meeting out of the four hour round-trip for lunch. It was that day when I tasted truly excellent barbecue for the first time. Until that day, my barbecue exposure had been catered luncheons, national chains, and greasy spoons – none of whom knew their way around a smoker. I was always unhappy with the brisket – served in thin slices and dry as a bone, lacking any real flavor and crying out desperately for sauce. I resigned myself to ordering the turkey sandwich, knowing they couldn’t possibly mess that up. Black’s will always have a special place in my heart since that day. Since, the day. Don’t fill your plate with sides – the meat is the main event! 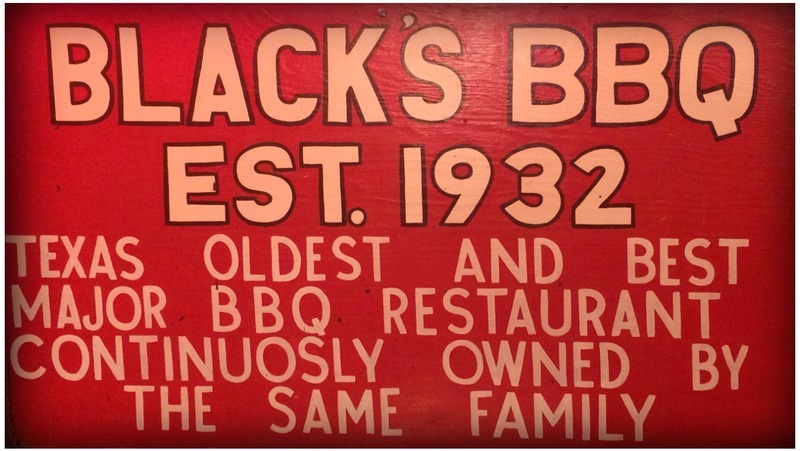 Over this last year, I have frequented Black’s at every opportunity, driving well out of my way to swing through Lockhart on my way back to College Station from Austin (look on a map – it is NOT on the way!) I have tasted the Holy Trinity of barbecue time and time again, as well as the giant beef ribs on more than one occasion. While I have eaten at Black’s many times, I had never done an official review until this past June. 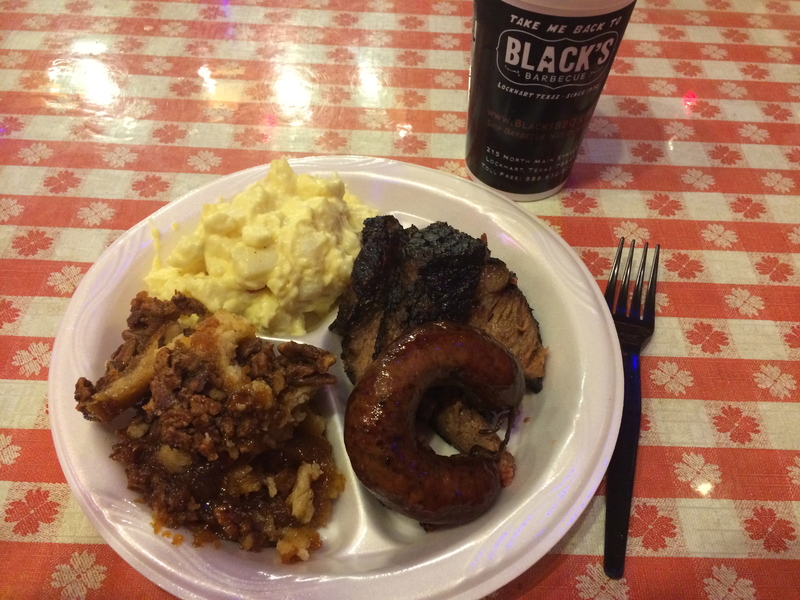 The time had come – I was ready to rate the famous Black’s Barbecue! The last step before the cashier is the meat cutting station. Careful not to let your eyes bite off more than you can chew! The potato salad is good, but the sweet potato casserole is where its at! Black’s is located at 215 Main St., just a short ways from the downtown square. 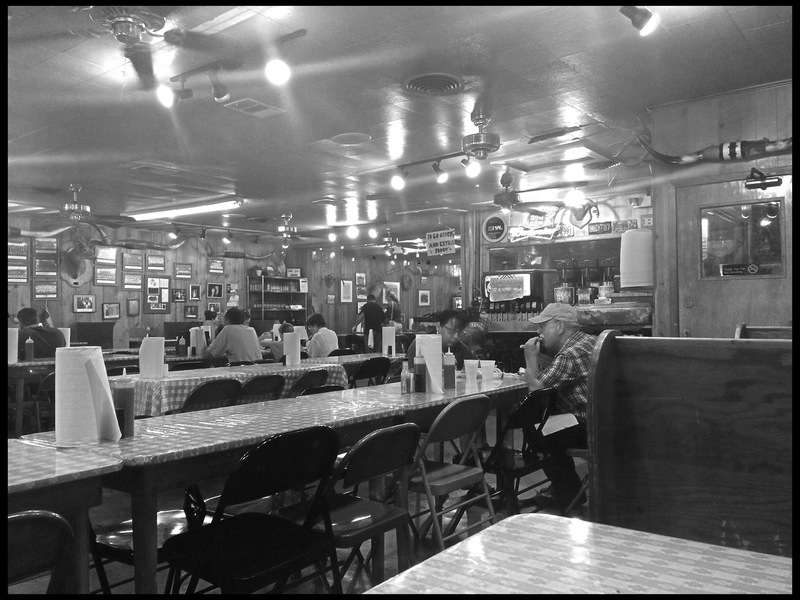 The old-fashioned exterior matches the interior, where red-checkered table clothes, wood-paneling, and taxidermy abounds. But its not the ambience that draws the crowds to line up outside in the Texas heat, it’s the food! Black’s smokes their briskets for 14 hours at 300*F. The bark and the texture of their brisket is phenomenal. Be warned, eating with a fork is not advised! The brisket is so tender that the morsels will just fall off the tines, leaving an empty fork by the time it reaches your mouth. Eating with your fingers is the only way you can be sure to satisfy your cravings. Go ahead…no one cares! Black’s Barbecue has a clean, rustic, and fun atmosphere. 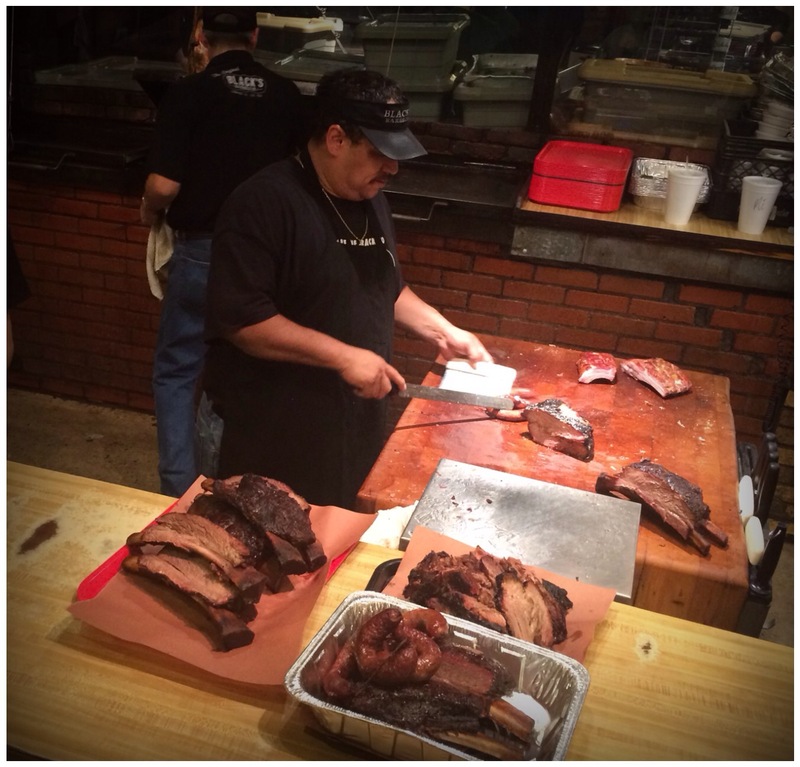 In rating the brisket, Black’s garnered every point available under the technical categories. Perfectly moist, perfectly tender, perfectly rendered fat, etc… The ONLY point missed was a single mark off for flavor (4/5). While the brisket is some of the very best in the state, I have had better on at least one occasion (see La Barbecue). For this reason, Black’s lost one point. However, that is not to say that on some other day I could be served a better tidbit from Black’s and a slightly less perfect piece from La Barbecue, which would turn my score upside down. But alas, I can only report what my experience has been, and let the chips fall where they lie. 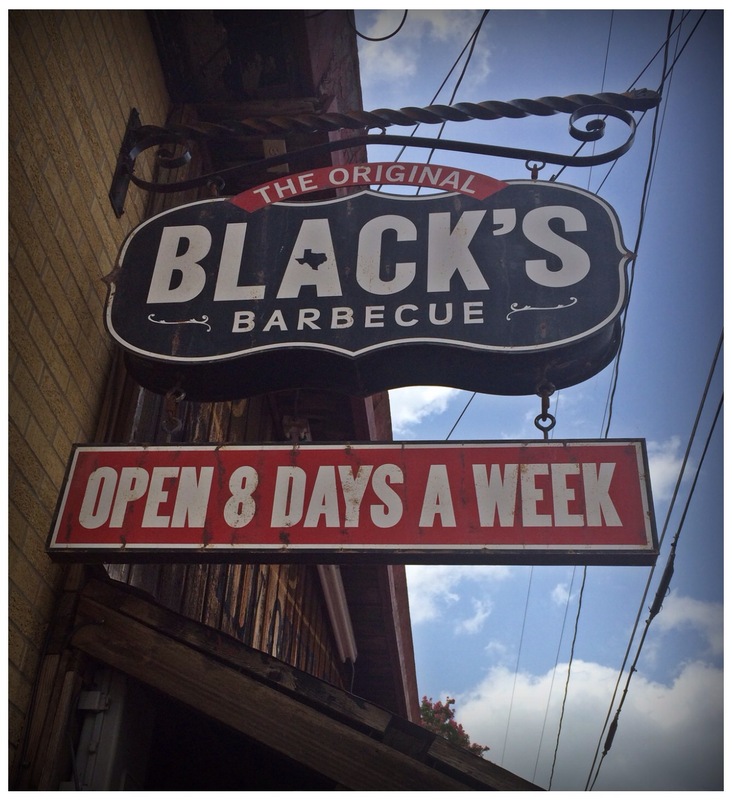 One more mention needs to be made: Black’s is open an advertised “8 days a week”, 10 hours a day. La Barbecue opens up each morning and sells out sometime during the lunch rush. For Black’s to serve brisket all day every day for the hungry public, and produce the high quality product that I have tasted time and time again is something just short of a miracle. This must be considered when comparing the two establishments. Black’s serves three kinds of ribs: beef ribs, pork spare ribs and pork baby back ribs. The Best of Texas Barbecue only concerns itself with the pork spare ribs when evaluating and scoring a restaurant. This being said, you really do owe it to yourself to make room on occasion for the giant beef ribs, as they really are a thing to behold! As for the pork spare ribs, they are of the dry style, not the wet mess that is served at Franklin BBQ and La Barbecue. I am firmly in the dry camp. The meat pulled perfectly off the bone with little effort, and were perfectly tender. The fat was well rendered, and they were plenty juicy for my taste. However, the taste fell short. Here, unlike the brisket, a full two points were deducted for the flavor. The pork spare ribs were a solid good, but not great. Black’s serves four kinds of sausage, but I was only there for the original. One of these days I’ll try their garlic or jalapeno cheddar varieties, but I just can’t get past their original offering. Black’s original sausage is a testament to its heritage. Each link is hand stuffed and hand tied, staying true to its 80 year old recipe. The texture was fantastic – coarsely ground meat inside of a crisp casing. The flavor is not exactly spicy, but has a peppery goodness quality that fills your mouth with flavor! Black’s Barbecue serves truly excellent sausage, the likes of which can only be found at Kreuz Market and Smitty’s Market, also in Lockhart, Texas. This entry was tagged barbecue, bbq, beef brisket, Black's, Black's Barbecue, brisket, Central Texas Barbecue, hand-packed sausage, Lockhart, sausage, Texas BBQ. Bookmark the permalink.